We recently had a successful training bootcamp at the SOS HGIC in Tema to teach their students practical skills in Android app development. The students where able to complete their first mobile app project. 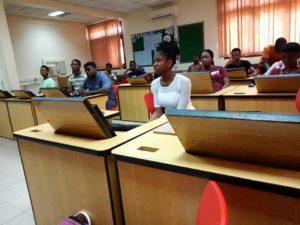 We believe that skills in coding can help transform Ghana’s tech sector to create employment opportunities for our youth, hence, the need for more of such bootcamps in our schools.